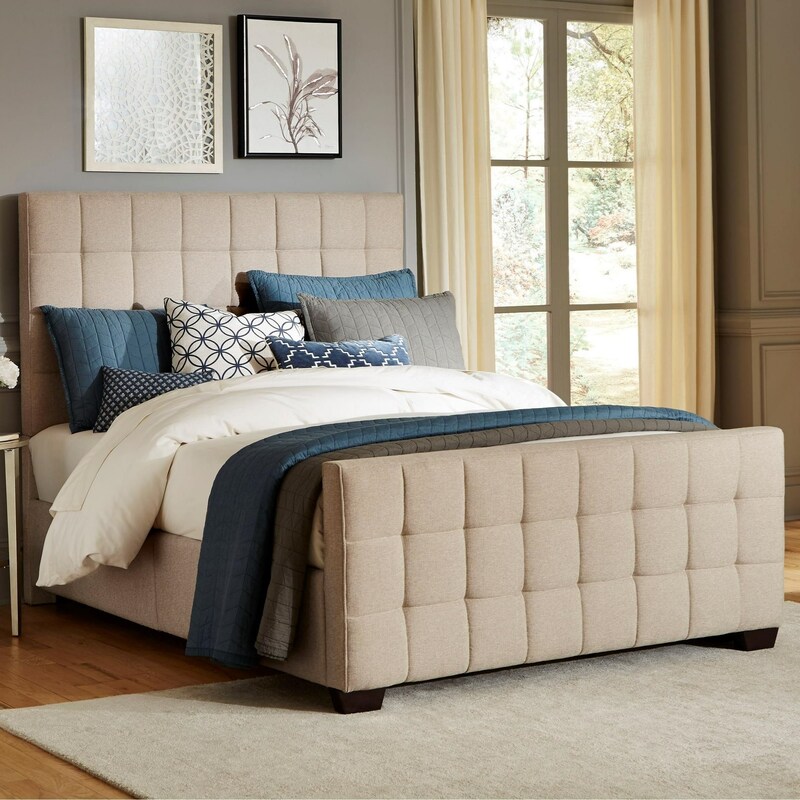 You'll love having this queen upholstered bed in your bedroom for it's warm, inviting look and plush comfort. The piece is fully upholstered, with the headboard and footboard dominated by square tufting for some depth and visual interest. This bed is available in both a Brown or Sand upholstery, both of which will match easily with existing decor. The Altura Queen Upholstered Bed with Square Tufting by Standard Furniture at Miskelly Furniture in the Jackson, Pearl, Madison, Ridgeland, Flowood Mississippi area. Product availability may vary. Contact us for the most current availability on this product.